Did Donald Trump Run For President Because Gwen Stefani Was Making More Money On The Voice Than He Was On The Apprentice? Let's file this one under pure silliness. Michael Moore, who leans pretty far to the left of socialism, claims that the only reason Donald Trump decided to run for president is because he was bitter over Gwen Stefani's $10 million paycheck from NBC. Moore said that Trump decided to announce his candidacy after finding out that NBC was paying Stefani that huge sum to be a coach on The Voice. 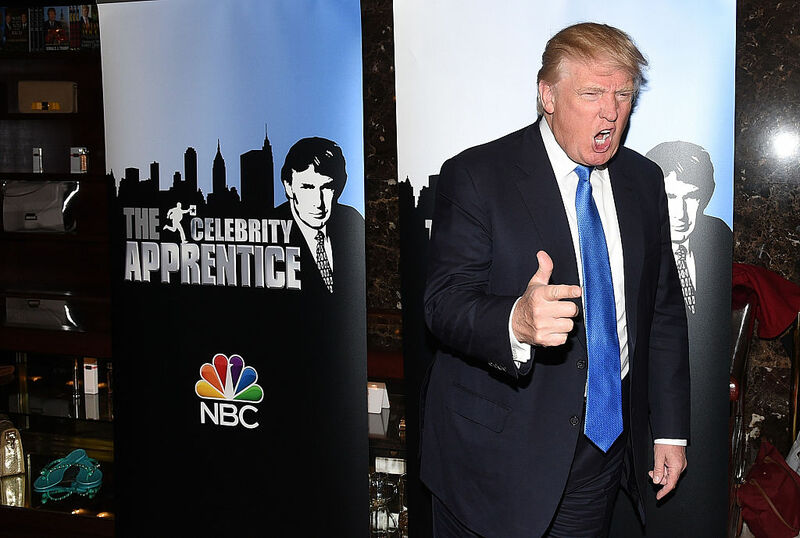 At the time, Trump was negotiating his own deal with NBC regarding whether or not he would appear on The Apprentice for season 15. It was just weeks before he announced his Republican bid for the primary on June 16, 2015. Trump had been casually talking about running for president since 1988, but he didn't really want to be president. There's no penthouse in the White House. He doesn't want to live in a primarily African American city, according to Moore. "He was trying to pit NBC against another network, but it just went off the rails." One of the very first things Trump did after announcing his candidacy was reveal how much money he made on The Apprentice. He stated that his net worth was $10 billion and that a bit less than $215 million of that came from his salary on The Apprentice. That sum would mean Donald Trump made an average of $15 million for each of the show's 14 seasons up to that point, which was more than Stefani was currently making from the network. Of course, when he released financial disclosure statements, they revealed that he made less than $5 million on The Apprentice. Like I said at the beginning, this story is pure silliness. It should also be noted that Moore is premiering his latest documentary Fahrenheit 11/9, which is about the results of the 2016 election, at the Toronto Film Festival this week. As the saying goes, no publicity is bad publicity.